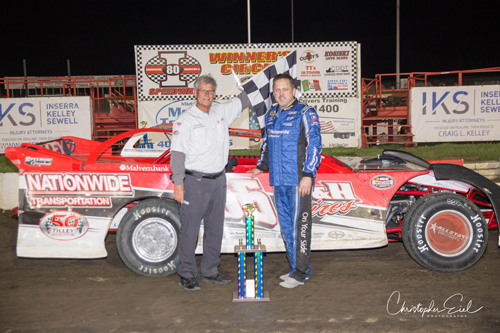 Jeff Tilley of Omaha, NE, was the BRLM/Grand National Late Model feature winner. 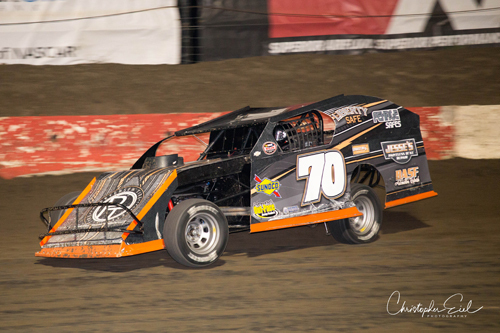 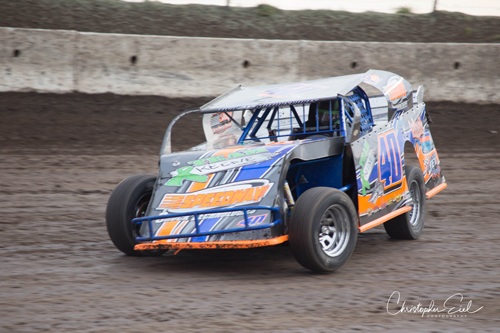 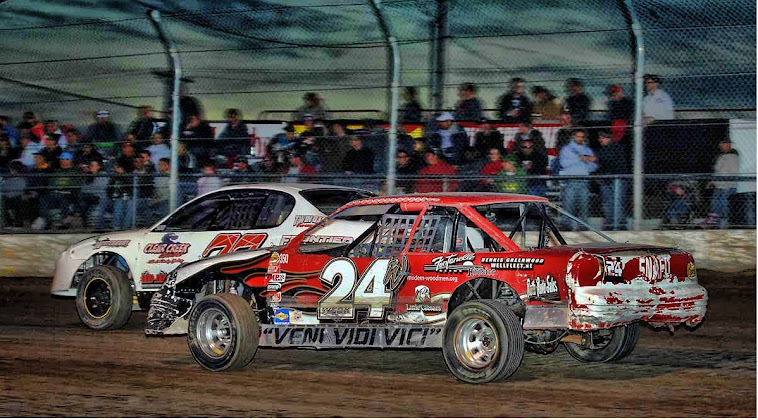 Jesse Dennis of Corning, IA, won the Modified main event. 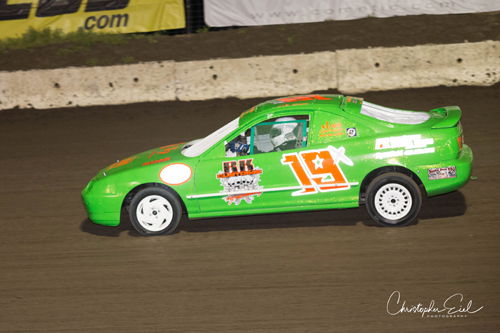 Luke Ramsey of Bedford, IA, won the Hobby Stock feature. 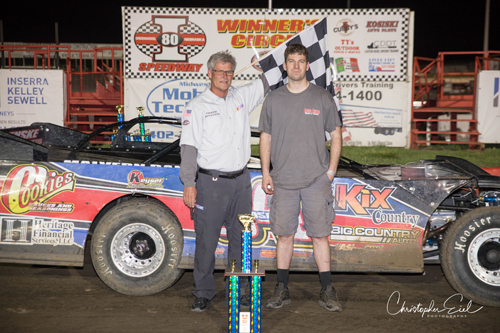 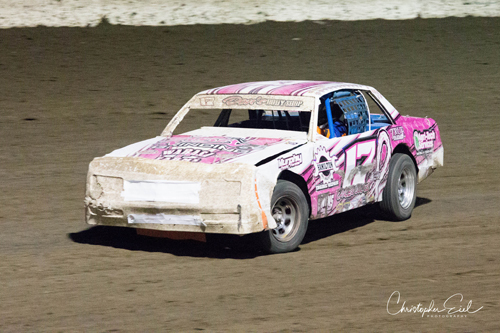 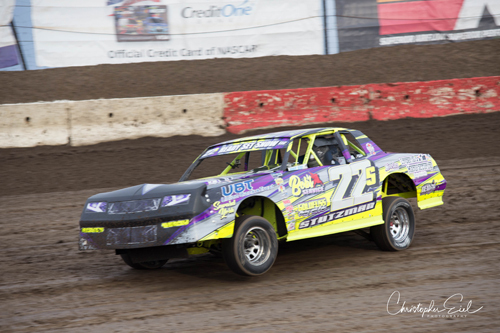 Shane Stutzman of Milford, NE., was the Stock Car winner. 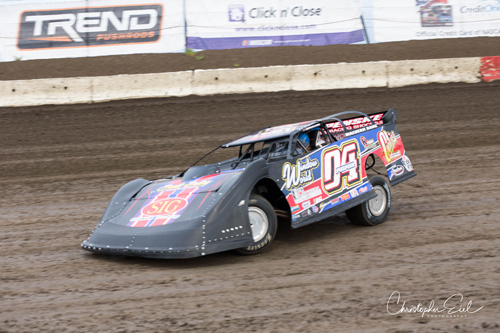 Shawn Harker of Nebraska City, NE, was the SportMod feature winner. 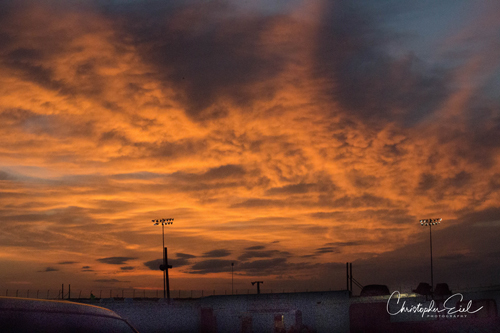 A beautiful sun sets down over I-80 Speedway. 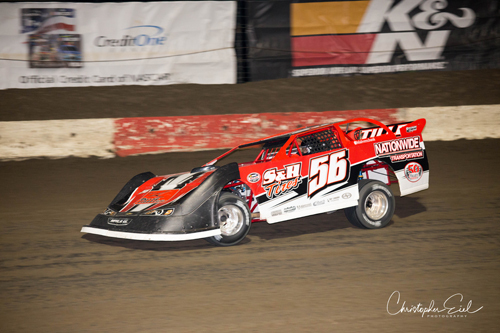 Tad Pospisil of Norfolk, NE, won the Super Late Model feature.